Not real familiar with these comedians, but it’s free, so why not? 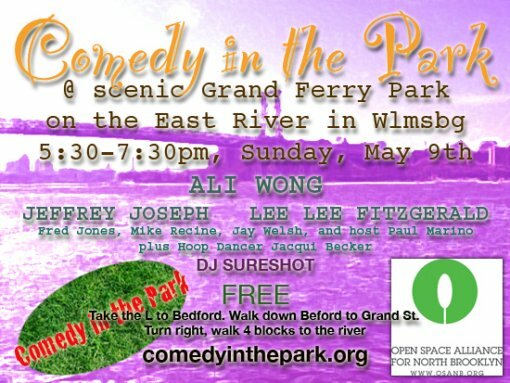 The next installment of Comedy In The Park (at Grand Ferry Park in Williamsburg, Brooklyn) takes place Sunday, May 9 (tomorrow) from 5:30 – 7:30 PM. Previous Post BAM Block Party Today!